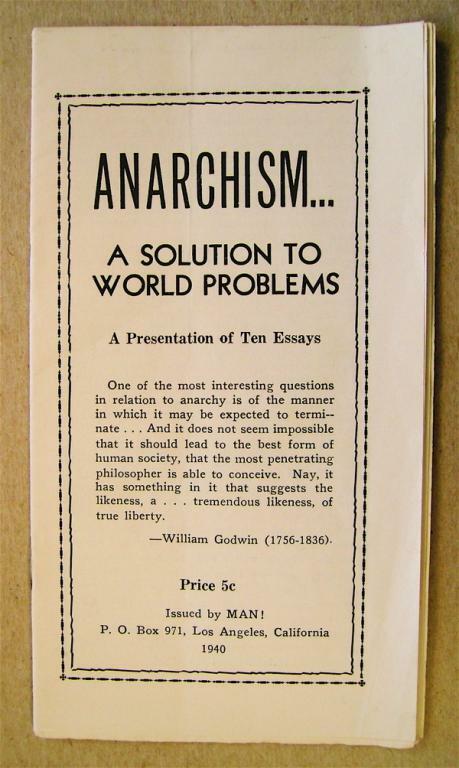 A 1940 pamphlet published by Man!, an anarchist newspaper out of New York. One of the most interesting questions in relation to anarchy is of the manner in which it may be expected to terminate ... And it does not seem impossible that it should lead to the best form of human society, that the most penetrating philosopher is able to conceive. Nay, it has something in it that suggests the likeness, a tremendous likeness, of true liberty.